SUMMER IS HERE EARLY… AND ITS GOING TO BE HOTTER THAN EVER! 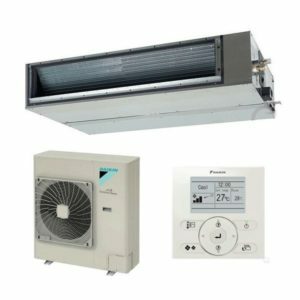 However, The Cool Shop and Daikin have a cooling solution for every type of home, and we understand how important it is for energy efficiency and the economical running of your electrical appliances, especially an air conditioner, in this current economic climate. We all want to be cool and comfortable, without it costing the earth! Even if you live where temperatures are extreme, you’ll probably want a combination of both heating in winter and cooling in summer. With new climate records being set throughout Australia each year, choosing the right air conditioning solution will turn your home into an oasis of comfort, all day, every day. Most contemporary air conditioning systems have reverse-cycle technology. This means they can heat and cool your home. In fact, every air conditioner in the Daikin range offers both heating and cooling options. This includes our Split System, Multi-Split and Ducted air conditioning systems, depending on whether you wish to control the temperature in just a few rooms or throughout your entire home. 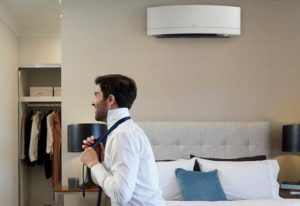 Daikin have also build in loads of great features into their Split System air conditioning systems to save you money, including Econo Mode and a Standby Power function. When it comes to Daikin Ducted systems, Predicted Mean Vote (PMV) control gently adjusts your room temperature throughout the day, giving you the ultimate balance of efficiency and comfort and making sure you only use the exact amount of power that you need. Don’t delay any longer, get a Daikin in your home today.